... and help us beat cancer. Train twice per week in a 12 week program preparing trail runners for the Sydney Trail Series. There is no trail experience required to join us! Can Too is a community committed to fundraising for life-saving cancer research and prevention programs. Work hard behind the scenes to make your experience SO good you'll want to tell everybody about it! Choose from a 10km or 12km goal distance at the Sydney Trail Series (Manly Dam). There are no coached sessions Sat 22 Dec 2018 — Fri 4 Jan 2019 inclusive. Click to view local days/times. ... and a first timer guarantee. No extra fees for qualified trail running coaches. No extra fees for follow-at-home yoga. No extra fees for training & race tops. No extra fees for Fisiocrem. No extra fees for Bexters Bath Salts. We can't price a life-changing experience. We stand by the quality of our experiences. If this is the first time you've signed up for Can Too, and you give us a fair go (by attending four of the first six sessions) and genuinely don't enjoy it — we’ll refund your registration fee. ... so you can make a difference. There for advice, support, and encouragement. Past fundraisers recruited to support you. Local advice from fellow fundraisers. Practical how-to's learning from our best fundraisers. Easy-to-use templates help you seek support. We're all active Can Too fundraisers, just like you. 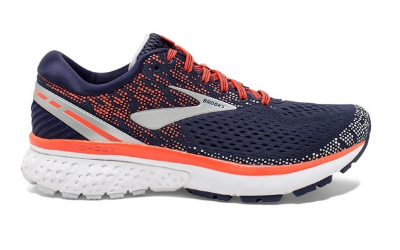 As a new trail runner, I had no idea what to do, and the fabulous support from Can Too made it easy to achieve my goal. Special offer — 40% off when registering. 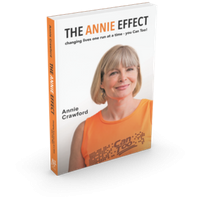 In this intensely personal memoir, Can Too founder Annie Crawford AM tells her own life story and how her experiences and beliefs led her to a life that gave her a sense of purpose, turning her love of running into an organisation that's transformed thousands of lives. 100% of profits support cancer prevention. ... and you will too! As a highly-accessible, local, entry-level trail running event, the Sydney Trail Series is perfect for our community. The 10km or 12km race options at Manly Dam are perfect for those starting out in trail running. Manly Dam season of the Sydney Trail Series has a scenic start finish area on the shores of the dam, plus a mix of technical single trails, waterfalls, fire trails, and lovey dam views. You can also cool down with a dip in the dam after your run. 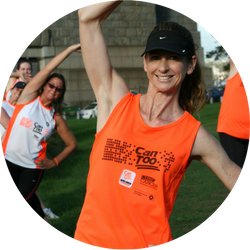 Whether you're just starting out, or you some experience and looking for a supportive trail community to train with over summer, training for the Sydney Trail Series with Can Too is guaranteed to please. All our staff are regulars in our programs. We all started as beginners, faced the same challenges as you, and are here to share our experiences and advice. By clicking below you agree to becoming an email subscriber.